Although neither team in the Finals piques my rooting interests, I’ll be pulling for Golden State. My reasoning though unfortunately has little to do with the players in this year’s Finals. Instead, the Cleveland Cavaliers owner and coach’s respective anti-Black and anti-Palestinian comments pushed me to root for Golden State. I generally don’t allow team owners and front offices to dictate my fandom. Doing so lends them more legitimacy than they deserve. I don’t care about owners; I follow the athletes who make the sports world. Furthermore, if I stopped rooting for a team because the owner is racist, chauvinist and/or classist, there’d be nobody left to support. But these Dan Gilbert-owned and David Blatt-coached Cleveland Cavaliers far surpass the racist norm. As we’ll see, their documented racism is vicious and carries harmful intent and repercussions. Most distressingly, the sports world accepts, even lauds, such racism while castigating athletes (and their supporters) who express anti-racist sentiments. Five years ago, LeBron James shocked the basketball world by announcing he’d take his talents to South Beach and play for the Miami Heat. Having grown up in Akron, Ohio, and spent his first seven NBA seasons with the nearby Cleveland Cavaliers, the free agent James decided it was time for change and made a professional decision to sign elsewhere. Many Cavaliers fans with no actual connection to James inexplicably felt betrayed, and some even burned their LeBron James jerseys. But James’ former employer had the strongest and most spiteful reaction. Cavs owner Dan Gilbert responded to LeBron’s decision with an “open letter to Cavs fans.” Gilbert pulled no punches in the letter. “As you now know, our former hero, who grew up in the very region that he deserted this evening, is no longer a Cleveland Cavalier.” He continued, “The good news is that the ownership team and the rest of the hard-working, loyal, and driven staff over here at your hometown Cavaliers have not betrayed you nor NEVER will betray you.” And he told Cavs fans, “You simply don’t deserve this kind of cowardly betrayal.” The letter is packed with other vicious and racially loaded insults. Along with calling him a coward and traitor, Gilbert blasted James’ decision as narcissistic and selfish, even though the televised event generated $2 million for Boys & Girls Clubs around the country. He claimed James was a bad role model, sending “the exact opposite lesson of what we would want our children to learn.” The owner even put “bad karma” on James. Finally, Gilbert guaranteed the Cavs would win a championship before LeBron and the Heat, a prediction which turned out patently false (I’ll get back to this). Gilbert’s comments justifiably attracted strong criticism. Jesse Jackson posited that Gilbert acted as a plantation owner and treated James like an enslaved worker who escaped his plantation. “He speaks as an owner of LeBron and not the owner of the Cleveland Cavaliers,” Jackson explained. “His feelings of betrayal personify a slave master mentality. 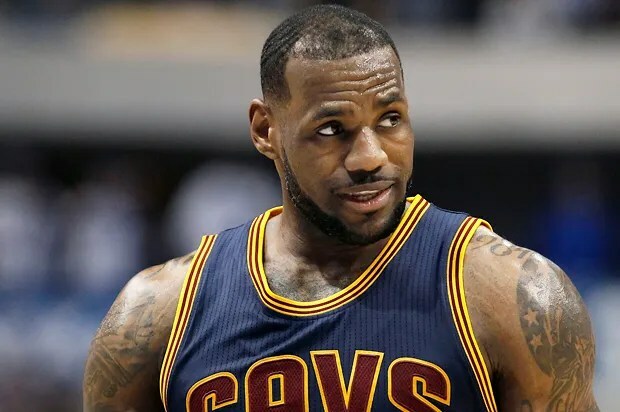 He sees LeBron as a runaway slave.” LeBron James was a free agent – free and an agent – acting on his own accord. He owed Gilbert nothing and yet, Gilbert felt betrayed. The angry letter demonstrates Gilbert’s unbelief in LeBron’s freedom to make a personal career decision. Yet, media figures and Gilbert himself mostly dismissed Jackson’s historically-rooted observation. In fact, Gilbert refused to apologize for the letter…until four years later. Last summer, LeBron James decided to test the open market again. News surfaced that James was considering a return to his home state after four seasons with the Miami Heat. So when Gilbert met with and recruited James, he finally apologized. “I told him I wish I had never done it, that I wish I could take it back,” said a suddenly remorseful Gilbert in July 2014. Interestingly as late as February 2014, Gilbert maintained that he did not regret publishing the letter. Only a massive opportunity falling into his lap could ultimately cause him to backtrack. LeBron James announced his return to Cleveland on July 11th, 2014. A few weeks before LeBron’s homecoming, Gilbert hired David Blatt as the Cavs’ new head coach. Blatt coached abroad for about 20 years, mostly in Israel. He had resided in Israel since 1981 after growing up in the U.S. “I didn’t come to Israel for Zionist reasons, but I was lucky because in Israel I became much more Jewish and much more Zionist.” Gilbert’s own Zionist background (the Friends of the Israel Defense Forces even honored him with an award in 2006) perhaps led him to Blatt. Of course, the Zionist colonial occupation in Palestine is responsible for massive and genocidal violence and destruction. On July 8th, 2014, three days before LeBron joined the Cavs, Israel launched a ruthless military campaign in Gaza. Israel murdered over 2,200 Palestinians during the six week invasion. The protracted massacre displaced up to 25 percent of Gaza’s population. Israel’s military also shelled multiple United Nations Relief Works Agency (UNRWA) Gaza shelters and UN schools, which housed civilians seeking cover from the Zionist state’s bombings. What did Blatt have to say about this? “In my opinion, this war is Israel’s most justified war I can remember in recent years. I’m really sorry about what’s happening in Gaza, but there’s no doubt that we had to act there, so that Israel will have quiet there once and for all, and we can live in peace.” Apparently, peace to Israel means bombing a Gaza beach and slaughtering four children who were merely playing soccer. It also means firing indiscriminately at Palestinians. Said one IDF (Israel Defense Forces) sergeant about Israel’s non-existent rules of engagement in Gaza, “Anything inside [Gaza] is a threat, the area has to be ‘sterilized’, empty of people – and if we don’t see someone waving a white flag, screaming, ‘I give up’ or something – then he’s a threat and there’s authorization to open fire.” Other soldiers have given similar testimonies. Hence, Blatt and Israel’s peace equates to Palestinians’ death and the destruction of their land. Journalist Dave Zirin points out how Blatt’s comments drew no public criticism or ire, while players like Dwight Howard, Amar’e Stoudemire and Metta World Peace were thoroughly lambasted for tweeting things like “Pray for Palestine” or #freepalestine as Israel systematically destroyed Gaza. Blatt’s support for a racist war and occupation on the other hand, not only went unpunished, but was rewarded. This brings me back to this year’s Finals. Ironically enough, it was LeBron James who brought this franchise out of the abyss and back to the pinnacle despite Gilbert’s guarantee that the Cavs would win a championship before him (James won two championships and reached four straight NBA Finals with Miami). Cleveland didn’t even sniff the playoffs, let alone a championship, without LeBron. In fact, the Cavs lucked into the number one overall draft pick three out of the four years he was gone. As much as I supported the LeBron James-led Miami Heat, I won’t be rooting for the Cleveland Cavaliers anytime soon, with James or without him. So I’ll be a Golden State fan these Finals (although Golden State’s treatment of former coach Mark Jackson was beyond unfair). The Cavs front office’s documented history of virulent racism precludes me from supporting them. Dan Gilbert and David Blatt deserve no place in the sports world. Yet, here they are in the NBA Finals thanks to LeBron James. There’s irony for you. Navid Farnia is a doctoral student in African American and African Studies at Ohio State University. He received his Master of Arts degree from the Institute for Research in African American Studies at Columbia University and his bachelor’s at Cornell University. He is an Iranian American who was born and raised in Oklahoma. Same page as you man. I love that the Cavs are not good enough to win a dang thing. What a city that burns Lebron’s jersey and then bows down to him when he comes back. You are a bunch of pathetic fools. And the Cavs will never win a title. And I will laugh.